Robynn, who owns Storeyline Resumes, seems to be confused about how many of her there are. She reminds us that you can trust Robynns' resume writing skills. So what, exactly, are produced resumes? And, um, just how much mass do they have? 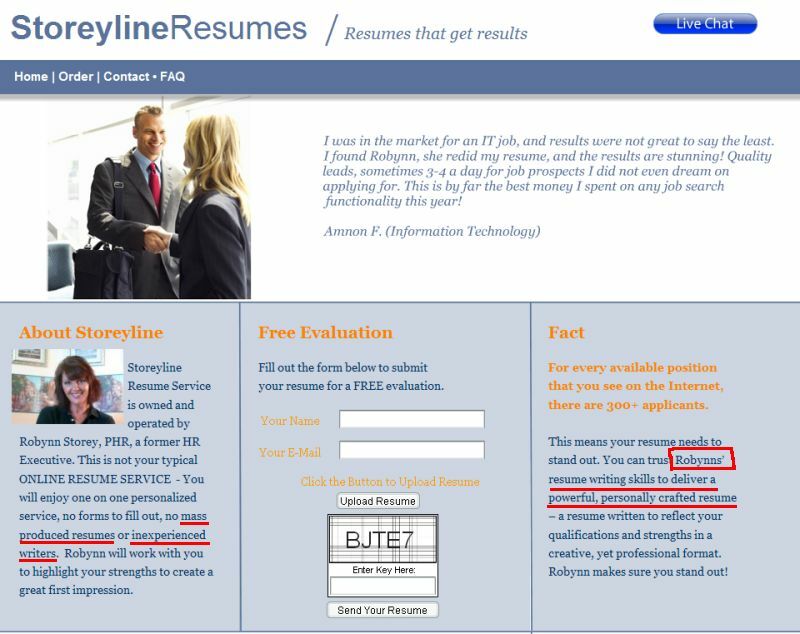 She meant resumes produced en masse. All this is ironic given her promise that she will never saddle you with inexperienced writers.